Interesting thing about science: what is a ‘fact’ today may be downgraded tomorrow as a ‘possibility’. A recent example is of a 2011 study which suggested that certain genes may be responsible for making people susceptible to mesothelioma. 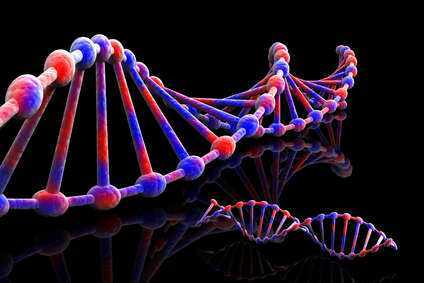 “This is the first study to demonstrate that individual genetic makeup can greatly influence susceptibility to mesothelioma. People exposed to dangerous levels of asbestos or erionite, those with a strong family history of mesothelioma, or those who have been previously diagnosed with a rare tumor of the eye known as uveal melanoma, may benefit from this new discovery,” said Joseph R. Testa, Ph.D., Carol and Kenneth E. Weg chair in Human Genetics at Fox Chase Cancer Center. However, a recent study challenges this finding. According to this study, low oxygen levels in the cells promote the growth of cancer cells rather than gene mutation. Previously, low oxygen levels had been associated with the growth of cancer cells but it was never concluded to be the primary factor. Ying Xu, Georgia Research Alliance Eminent Scholar and professor of bioinformatics and computational biology, together with a team of scientists conducted the research study. The researchers analyzed the samples of liver, kidney, lung, breast, ovary, stomach and pancreatic cancers. They used a software program to see if there is any abnormal gene expression. They observed that in all seven cases, there were decreased oxygen levels. This oxygen deficiency interrupted the normal process of conversion of food into energy and allowed cancer cells to reproduce faster than normal cells. One of the problems faced by doctors is that cancers quickly become resistant to the drugs used to cure them. This new research may explain the reasons for the development of drug resistance and may help in finding better solutions for cure. There haven’t been many definitive answers in the fight against cancer. It is still a mystery for researchers that from a population of people equally exposed to asbestos, why some get it while others don’t. Although duration of exposure and the levels of asbestos play an important role, it still doesn’t explain the selective infliction of the disease. For example, in certain regions and areas of the world people in specific areas suffer from certain diseases while others in the surrounding areas do not. This indicates the possibility that in these cases genetic mutation may be the reason. While, in many other cases, factors like low oxygen levels may be the driving force. While new research tries to explain the causes and strives to find a cure, learning about the diseases and the risk factors can help the people who have been exposed, take preventive actions against undesired outcomes. For example, rampant use of asbestos was common in many industries a few decades ago but certain environments/professions put people more at risk than others. These environments/professions include chemical plants, shipyards, construction sites, pipe-fitting work, insulators and boiler-related work. Are Merchants Offering Daily Deals Against Their Best Interests?